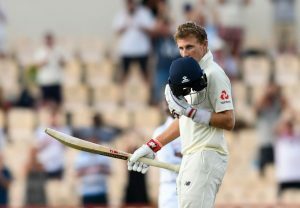 England captain Joe Root showed others how its done with an unbeaten century, as England built a massive lead over West Indies on day three of the third Test in St Lucia. Root turned into the principal England batsman to score a hundred in the series by posting 111 as the voyagers assembled a 448-run preferred standpoint over the Windies at the Darren Sammy National Stadium on Monday. The hosts began splendidly with Keemo Paul taking the wicket of Rory Burns (10) with the day’s opening delivery, however he was constrained off in the fourth over in the wake of getting thigh damage in the field. Keaton Jennings made a good start before succumbing to 23 in an unusual style to leave genuine question marks hanging over his future in the England squad in front of the Ashes. Nonetheless, Root secured England’s innings by building a 107-run partnership with Jos Buttler (56) after Joe Denly (69) asserted his first Test fifty. 2, 17, 84, 14, 4, 6, 16, 17, 29, 8, 10, 23.